This way for more info on the symbolism involved, if you happen to be in to that kind of thing – each to their own. Nothing wrong with that to be fair, just trying to grab attention and get noticed, thats the logical thing to do when you’re launching a new product/business. They will always be two bit scums to the Railhawks nation. Joey Saputo is a pompous man. We did them good last year. Good riddance fukkers. R-Hops is a marketing genius. classy crest, one of the better ones in the MLS and i thi- sorry, did i just read “railhawks fan?”? the railhawks have fans? Looks good. 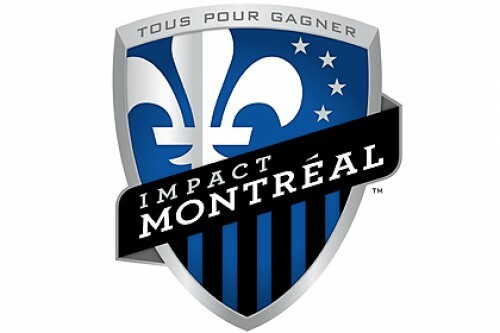 Will be nice to have Montreal in MLS. I hope their rivalry with Toronto can take off somewhat like in Hockey. Now we just need the Cosmos in NYC not NJ and no more teams. I dont get why people think the cosmos will be a good idea. Red bulls cant fill their stadium, do people think cosmos will help that? I don’t understand why they went for black and blue stripes. They should’ve used blue and white. Those are their colors…. according to themselves. Nice crest and great video, btw. This looks like it was designed for a non-licensed team in Pro Evo. Terrible, although all of the logos in the MLS stink equally.